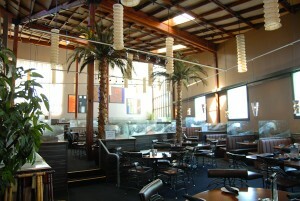 The LASTC Lunchtime Forums are informal and informative networking lunches. Come and share your ideas, experiences, and questions or just come prepared to learn. Technical communicators of all levels and specialties are welcome. We’d love to know if you plan to attend, but reservations are not required. You can also join our Meetup group page to find out more details about all of our upcoming events (lunches, dinner meetings, and more). Directions: If traveling by freeway (5), exit at Burbank Blvd. and proceed West. 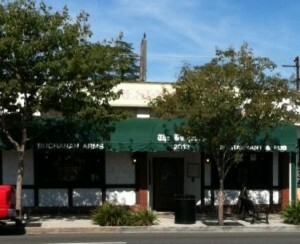 Buchanan Arms is on the right-hand side after Victory Blvd. If traveling from the valley, proceed to Buena Vista Street (Disney Studios) and head north. Turn right at Burbank Blvd; Buchanan Arms is on the left side. Parking is available on Burbank Blvd., or any of the nearby side streets. There is limited parking as well behind the restaurant. All Technical communicators are welcome. Reservations are appreciated but not required. RSVP to Jeff Kreger, latechwriter@gmail.com or call (323) 851-0554. Directions: Easy access from the 110, 210, and 710 freeways; on the northeast corner of Palmetto Drive and Pasadena Avenue, one block north of West California Blvd. All Technical communicators are welcome. Reservations are appreciated but not required. RSVP to Dwight Osborn, dwight.osborn@unionbank.com, or Rachel Thompson, raejthompson@gmail.com. Directions: Paradise Restaurant is located at the corner of 190th and Vermont. All Technical communicators are welcome. Reservations are appreciated but not required. RSVP to Kathy Snell, kathryn_snell@ahm.honda.com or call (424)224-6876. The LAX lunch forum has been discontinued. If you would like to see this forum re-started, please contact Karen Bergen at kbergen@ca.rr.com. The Culver City lunch forum has been discontinued. If you would like to see this forum re-started, please contact Karen Bergen at kbergen@ca.rr.com.